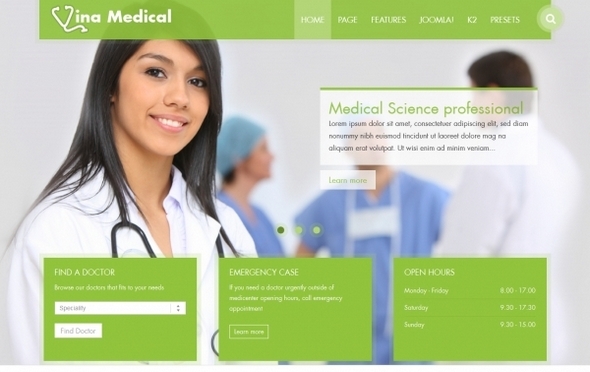 If you're looking for the Joomla 3 template for individual doctor or medical clinic site you've already found it :). This simple but very attractive and catchy design will suit your needs. Why? 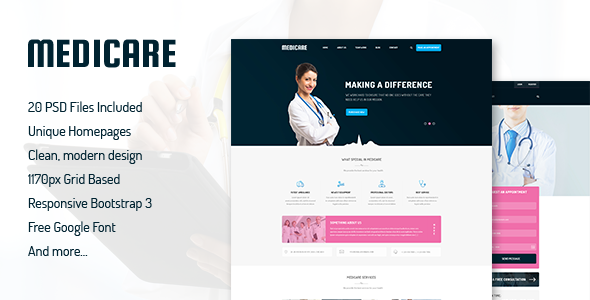 Before designing this mobile ready template we collected the most popular medical sites and composed the list of the information that usually appears on a doctor or clinic sites. 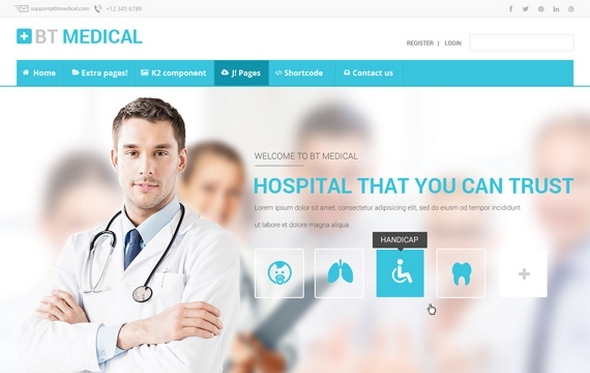 LT Medical is premium template tailored for medical, hospital, Medical Joomla Template websites. 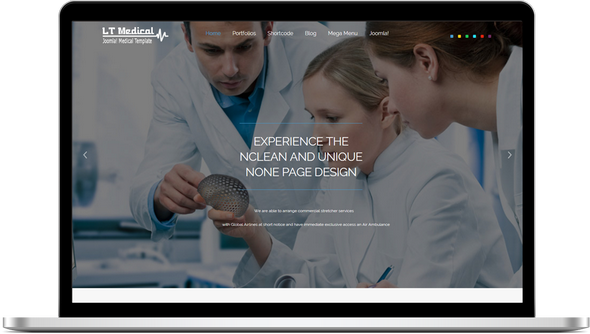 Medical Joomla Template is 100% responsive, clean and stylish. The template comes with 6 colors schemes, but in fact it is really customizable, has drag and drop tools and color settings helping to create unique websites with various layouts. 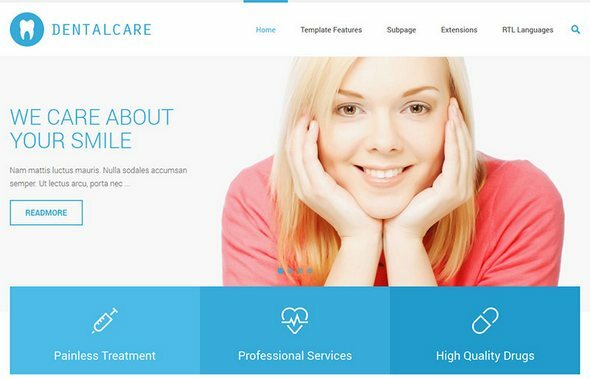 Vina Medical II is a complete medical & healthcare responsive template for Joomla 3.x equipped with everything you need to create your modern and fully functional site. Aside from just looking beautifully polished and clean, it comes packed with features and options, powerful Helix Framework, 4 presets options, Vina Awesome Image Slider, Vina Item Scroller for K2, easily configured various modules positions and a lot other best and selected extensions.